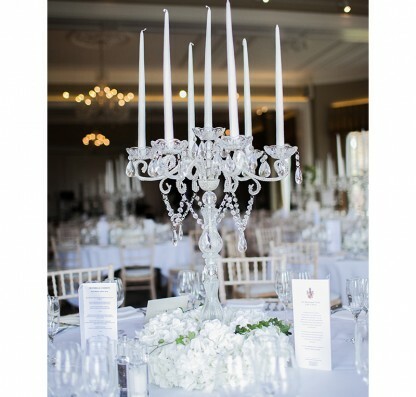 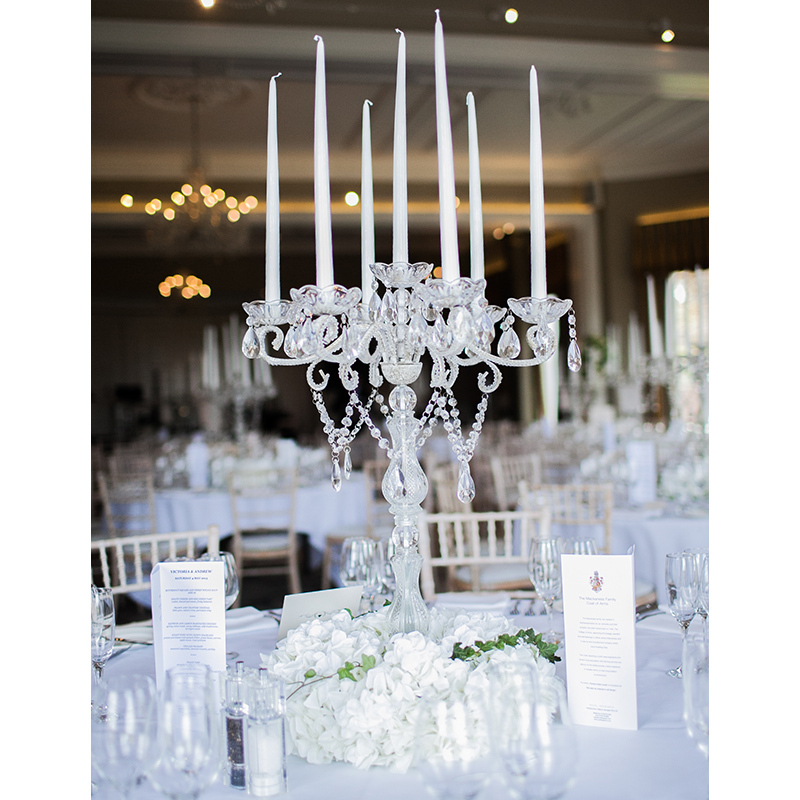 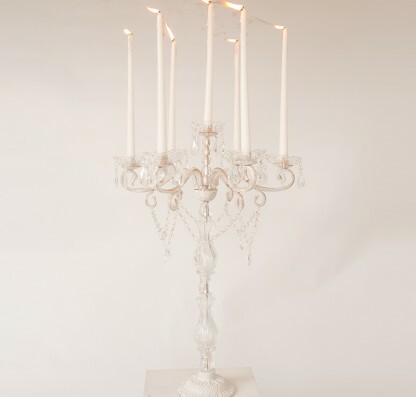 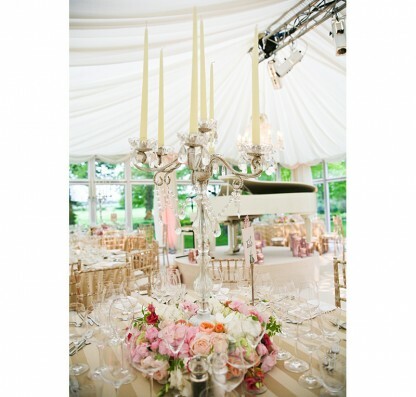 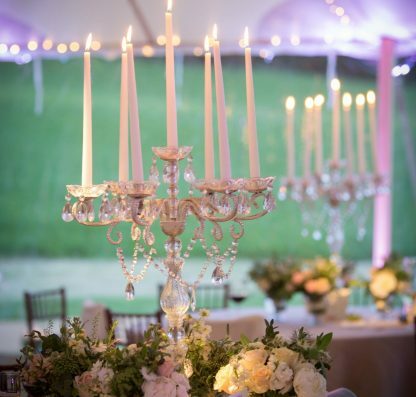 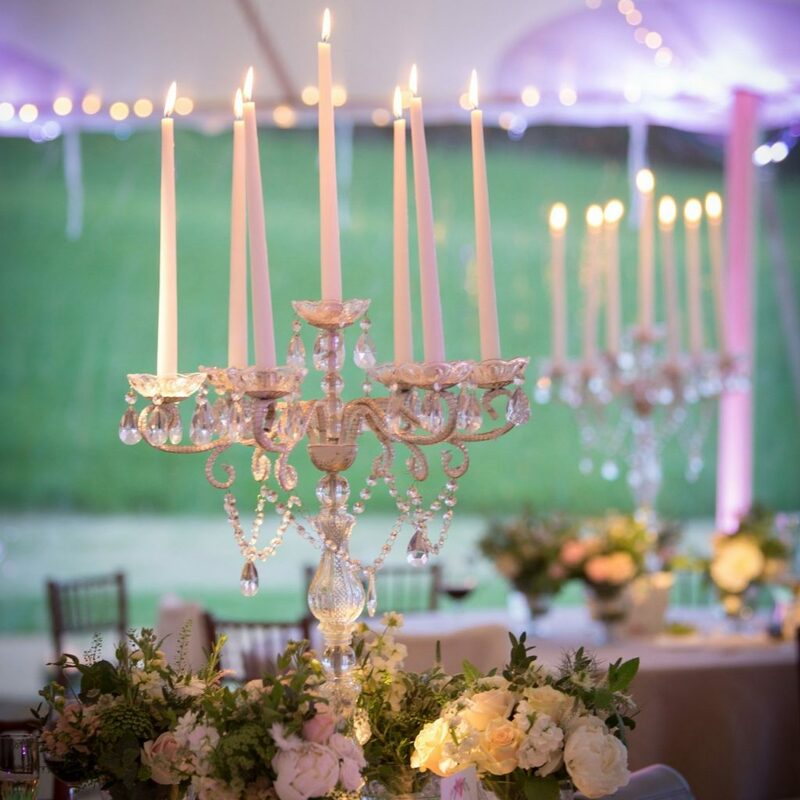 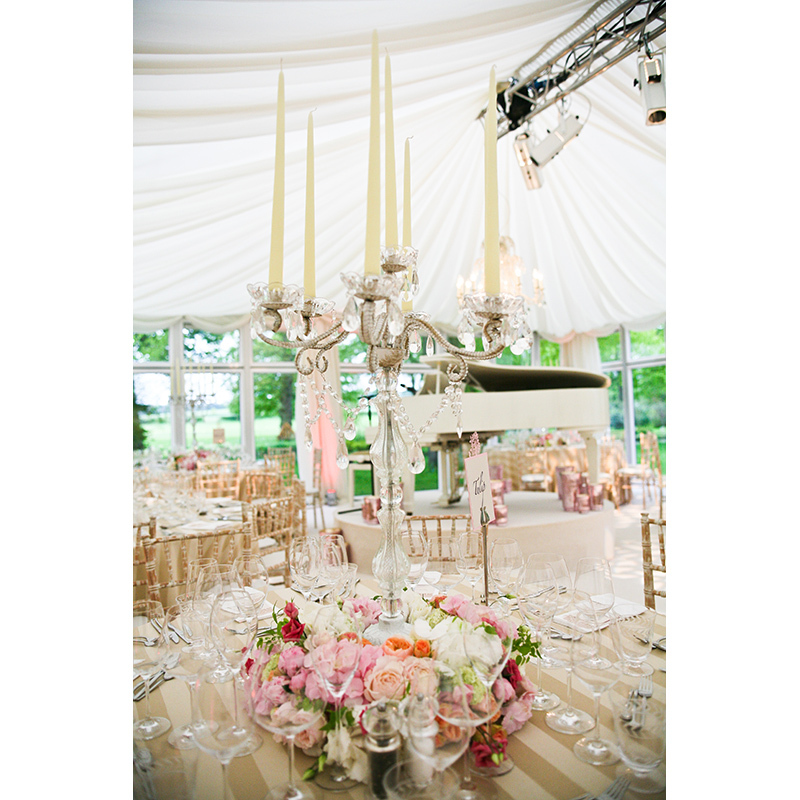 This gorgeous cream metal and glass candelabrum will add vintage glamour to any setting. 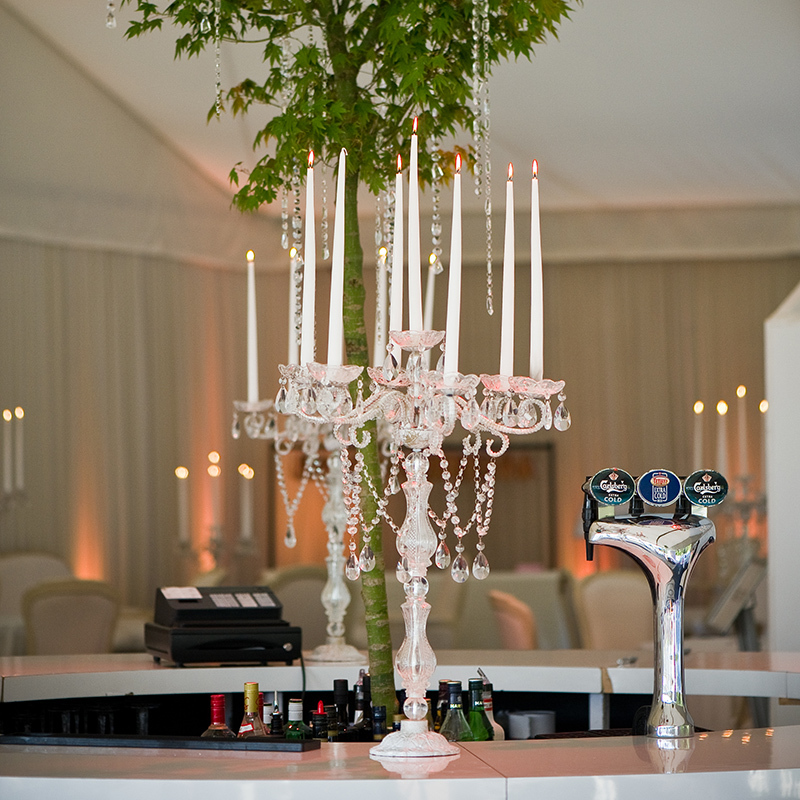 It looks equally beautiful when dressed with flowers or on its own for a more pared-down effect. 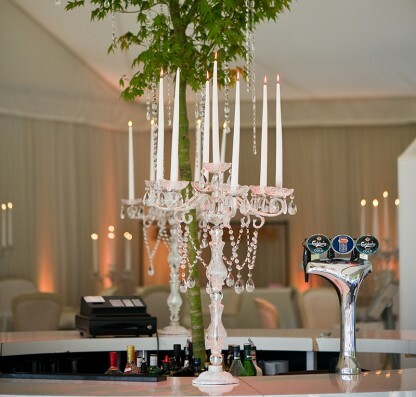 Use it as a table centre, on a bar or standing on a plinth. 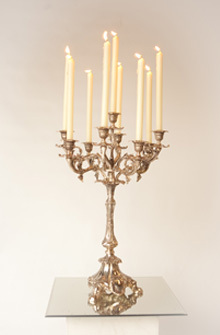 Holds 7 dinner candles.